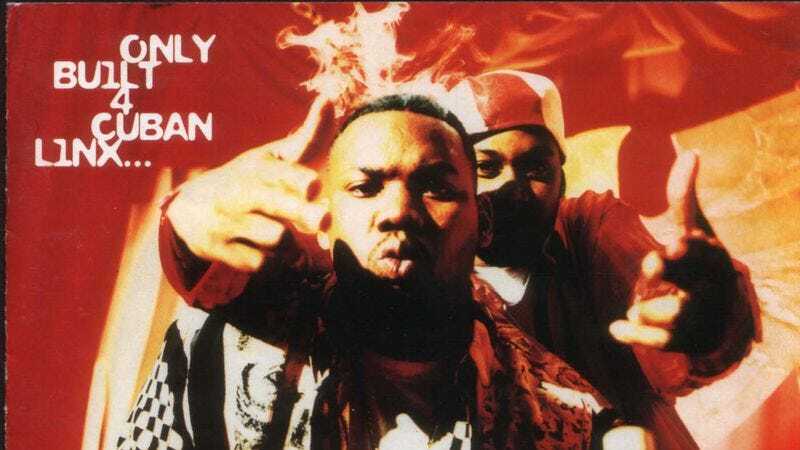 This August marks the 20th anniversary of Only Built 4 Cuban Linx…, and to mark to occasion, Raekwon intends to serve up a documentary about his album. According to Rolling Stone, the video will include interviews with industry professionals discussing the album’s legacy and presumably telling Raekwon how dope his debut LP was. The Purple Tape Files: The Documentary And Film will also feature Cuban Linx contributor Ghostface Killah, and will be produced by longtime Raekwon collaborator Raj “Trini” Maharaj. The project is currently running a crowdfunding campaign at FanBacked. The rewards for donors run the gamut. A 20th Anniversary Purple Tape sticker can be had for five dollars, while a thank you credit in the film is going for $500. $4,000 gets you a day with Raekwon, where you will probably not caught up in a drug heist that will serve as inspiration for his next gritty crime joint. Probably. However, one of the most interesting perks is at the $200 level, which gets your mixtape reviewed by Raekwon and Ghostface. Of course, the reward doesn’t specify that they have to give a positive review, and with 195 spots currently still available, it’s hard to tell how in-depth any review can get. Still, for the deep-pocketed aspiring rapper and Cuban Linx fan, $200 might be a small price to pay to hear that Ghostface thinks you sound like you’re “made out of human baby powder in the flesh,” and that your “whole style is straight baby thighs.” Namsayin?